Genetic interactions among bacteria are mediated by one of the three distinct gene-exchange mechanisms: conjugation, transformation or transduction. Conjugative gene exchange relies on mobile elements, such as plasmids, which transfer between donor and recipient cells. In natural transformation, competent cells take up DNA and incorporate it into their genome. Gene transfer via transduction is mediated by bacteriophages which accidentally package donor DNA in their phage head and transfer it to recipient cells. Driven mainly by biosafety research and research into the rapid dissemination of antibiotic resistance, the evaluation of gene flux among bacteria in their natural habitats has become a focus of scientific interest in recent years. Accordingly, gene transfer has been assessed in laboratory-based studies employing model ecosystems, as well as in field experiments. Conjugative gene exchange has been shown to occur under a wide range of environmental conditions. 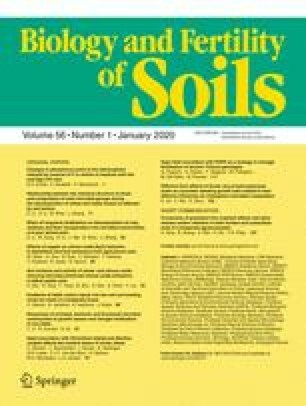 Factors identified as conducive for conjugation include the presence of nutrients provided by the rhizosphere of plants. Studies addressing gene transfer via transformation have demonstrated that naturally transformable bacteria develop competence and take up DNA under in situ conditions. Moreover, DNA has been shown to persist to some extent in the environment, and thus be available for uptake by naturally competent cells. Gene exchange via transduction has been demonstrated under conditions of nutrient depletion and low densities of host cells. Whereas gene transfer is readily observed in the laboratory, more importantly, field studies have provided direct evidence that all three gene transfer mechanisms also occur in nature. DNA transfer frequencies observed in the environment in some cases differed considerably from those obtained under laboratory conditions. Transfers of low frequency observed in laboratory-based experiments have been readily detected in the environment in the presence of selective forces.